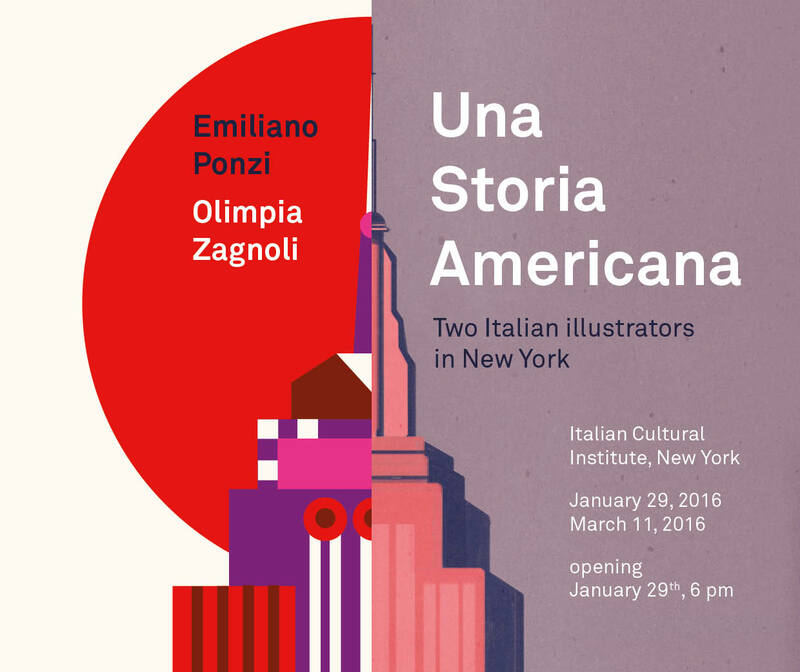 If you’re luck enough to be in NYC, pop along to a new exhibition featuring Olimpia Zagnoli and Emiliano Ponzi! Opening on the 29th of January, the exhibition “Una Storia Americana. Two Italian Illustrators in New York” is showing at the Italian Cultural Institute in New York. The exhibition features the work of the two immensely popular and successful Italian illustrators, showcasing the best of their recent work. Alongside the exhibition is the catalogue , ‘An American Story is also a book, published by Corraini, with 2 beautiful illustrated covers by Emiliano and Olimpia. Corraini Editore will publish a catalogue with interviews by Steven Guarnaccia and Paul Backley, with 2 beautiful illustrated covers by Emiliano and Olimpia. The exhibition and the catalogue are curated by Melania Gazzotti.